NWNH 25th Anniversary Gala Recap! NeighborWorks New Horizons has set a huge milestone. 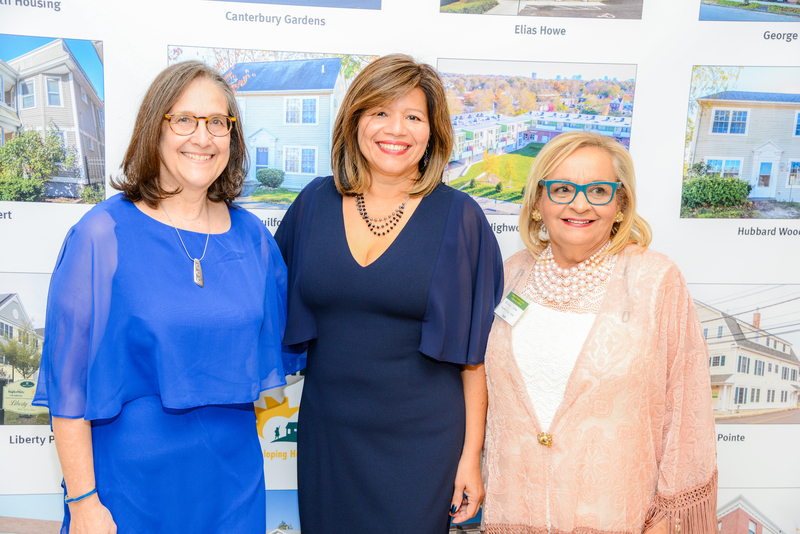 Celebrating 25 years of strengthening neighborhoods by developing quality, affordable homes and supporting community building initiatives while emphasizing on family growth. The Night in the Caribbean was truly a night to remember. From live music, delicious island food, and our two astonishing honorees all made possible by our sponsors of the event. Carla Weil Chief Strategy Officer of Capital for Change, Inc and Blanca Velez Beauchamp Executive Director, Puerto Rico NHS our two astonishing honorees gracefully blessed the podium. Their emotional speeches stated how their journeys started with NWNH and their reactions on receiving the news of being honored for the Housing Champion Award. Joe Rodriguez Presenting the first honoree Carla Weil on behalf of the US Senator Richard Blumenthal. Carla’s first remark to her opening was “I remember I was at my parent’s house in Colorado when Seila called me informing me that I will be honored at the NWNH 25th Anniversary Gala and I instantly began to cry because I was extremely blessed to be recognized for something that was second nature.” Stated Carla Weil. During Weil’s speech, she also was gifted a glass plaque. President & CEO Seila Mosquera graced the audience with a heartfelt remark about second honoree Blanca Velez Beauchamp. Speaking first half of her speech in her native language with a passion she stated: “Out of all of the organizations Seila was the first to extend not only funds but support and knowledge by bringing along her maintenance technician team Cesar Pilco and Eduardo Ortega.” Beauchamp began to speak in her second language English stating the same thing but finishing out with a thank you video from residents from her home Puerto Rico. The final remarks were left by live music, dancing and a special performance by Blanca herself singing “Preciosa” by Marc Anthony, a beautiful song that gives the ultimate imagery of beautiful Puerto Rico. With all the hard work and dedication to create a beautiful and unforgettable Anniversary Gala, none of this would have been possible without the help of our sponsors and funders. On behalf of the NWNH Board of Directors, staff and NWNH residents we express our gratitude for your contributions and donations. In conclusion, half of the donations that were made will be sent to NHS Puerto Rico to help continue their journey of regrowth. © 2018 NeighborWorks® New Horizons. Site design by AVP.